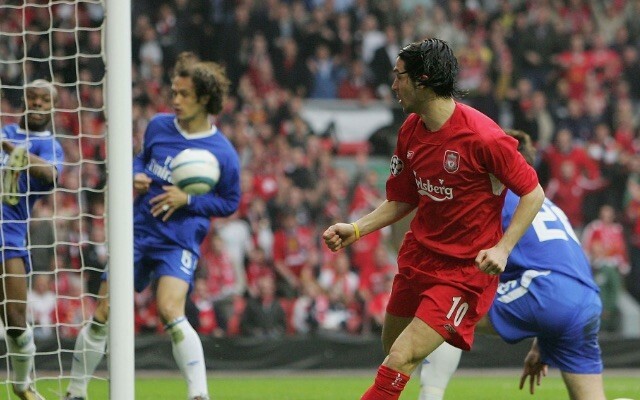 Liverpool host Chelsea in a crunch clash at Anfield on Sunday, and after the latter had some fun on Twitter, Luis Garcia had a response of his own. These two sides have played out some memorable encounters over the years, both in the Champions League and Premier League involving some huge incidents. From Garcia’s goal in their Champions League tie to Steven Gerrard’s slip which ultimately cost the Merseyside giants a real shot at the title, the stakes are usually very high and the tension will be through the roof this weekend. Liverpool will hope for a Man City slip up at Crystal Palace, which in turn could give them an opportunity to go even further clear at the top of the Premier League table with just a handful of games remaining. However, they’ve been in this position before and Chelsea dealt them a huge blow on that occasion, and so they will be desperate to avoid history repeating itself. As seen in Chelsea’s tweet below, they reminded their rivals of that Gerrard slip ahead of kick-off, and while the Liverpool account stayed silent, Garcia couldn’t help himself but provide a response with a reminder of that ‘ghost goal’ at Anfield during his time on Merseyside. As seen in the reaction below, it certainly went down well with the Liverpool supporters, as they praised their former star for getting in on the act and trolling their rivals. Time will tell who’s laughing at the end of the game though, as Liverpool can’t afford to slip up in the title race, while a win is crucial for Chelsea in the ongoing battle for a top-four finish. The way you’ve tagged Liverpool and Chelsea in this ??? LFC need to do this. Being bantered by Chelsea and probably haven’t said anything. Luis, you don’t know what a smile you put on my face right now! Get in!